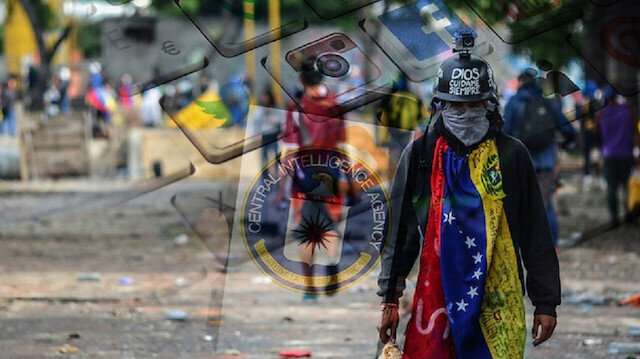 The United States’ Central Intelligence Agency (CIA) is backing Washington’s decision to recognize Venezuela's opposition leader Juan Guaido as president by manipulating the public opinion against democratically-elected President Nicolas Maduro and the legitimate government over social media platforms. U.S. President Donald Trump formally recognized Guaido shortly after his announcement and praised his plan to hold elections. That was followed by similar statements from Canada and a slew of right-leaning Latin American governments, including Venezuela's neighbors Brazil and Colombia. Millions of posts designed to instigate Venezuelans against the country's legitimate president, Nicolas Maduro, were shared in a very short time to kindle a social unrest against Maduro. Assoc. 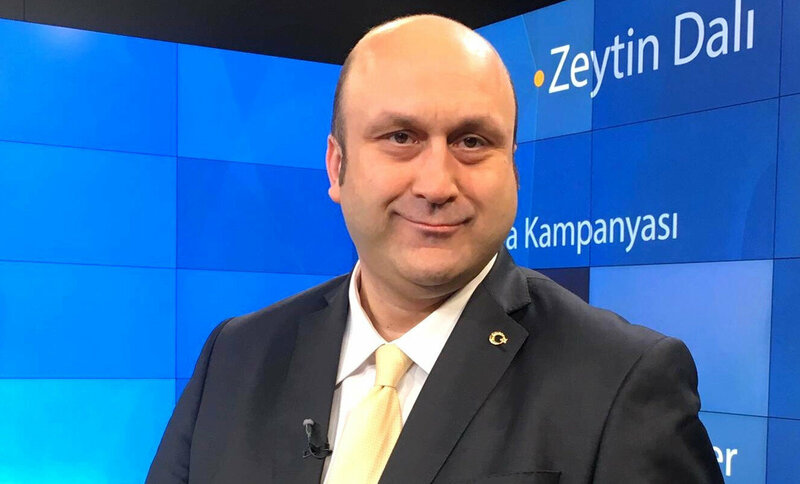 Prof. Dr Levent Eraslan unveiled the striking details of the U.S’s perception and deception strategies in an exclusively interview to Yeni Şafak daily. In Ankara, Turkish Foreign Minister Mevlut Cavusoglu said recognizing a leader other than Maduro might cause "chaos". U.S. President Donald Trump recognized Wednesday Venezuelan opposition leader Juan Guaido as the interim president of the country, marking the most significant escalation in the ongoing feud between Washington and Venezuelan President Nicolas Maduro.Guaido is the president of Venezuela's National Assembly, which Maduro stripped of its power and refuses to recognize amid continued international recognition. Just moments before Trump's announcement Guaido, an industrial engineer, reportedly declared himself interim president before an assembled crowd in Caracas, the Venezuelan capital. "In its role as the only legitimate branch of government duly elected by the Venezuelan people, the National Assembly invoked the country’s constitution to declare Nicolas Maduro illegitimate, and the office of the presidency therefore vacant," Trump said in announcing his decision. "The people of Venezuela have courageously spoken out against Maduro and his regime and demanded freedom and the rule of law. "Germany urges restraint in VenezuelaThe president further called on other western hemisphere governments to follow suit in declaring GuaidoVenezuela's legitimate leader while pledging to maintain economic pressure on Maduro's government. "We continue to hold the illegitimate Maduro regime directly responsible for any threats it may pose to the safety of the Venezuelan people," Trump said in a statement.Brazil and the Organization of American States had already recognized Guaido as the country's official leader prior to his official announcement.The opposition leader has called for new elections in the country, and his claim to power on Wednesday is highly likely to prompt a standoff with Maduro that could escalate into widespread violence.Secretary of State Mike Pompeo called on Maduro to step down shortly after Trump made his announcement, declaring Washington "will work closely with the legitimately elected National Assembly. "Mexico, Bolivia back Maduro as Venezuela President"We repeat our call to the Venezuelan military and security forces to support democracy and protect all Venezuelan citizens," he said in a statement.Guaido has called for nationwide protests against Maduro in the hopes that sustained popular pressure will oust Maduro, who was sworn in earlier this month for another six-year term, from government.Security forces have attempted to disperse the demonstrators with tear gas, according to multiple reports. At least one protester was reported dead.Maduro has repeatedly lashed out at the U.S., saying Washington is waging an economic war against him and his government amid a sweeping sanctions campaign.The International Monetary Fund forecasts inflation in Venezuela to hit 10 million percent in 2019 amid an economic crisis in the country sparked by a global depreciation in the price of crude oil -- Venezuela's main economic driver.That is the highest, by far, of all countries evaluated by the fund as Venezuela continues to face widespread shortages of daily goods and medical necessities.Erdoğan voices support for Venezuelan President Maduro US bucks Maduro, will keep diplomats in VenezuelaThe U.S. defied orders by Venezuelan President Nicolas Maduro to vacate diplomatic staff, saying Wednesday it will conduct relations through opposition leader Juan Guaido who it earlier recognized as the country's interim president. "The United States does not recognize the Maduro regime as the government of Venezuela," Secretary of State Mike Pompeo said in a statement. "The United States does not consider former president Nicolas Maduro to have the legal authority to break diplomatic relations with the United States or to declare our diplomats persona non grata." Turkish President Recep Tayyip Erdoğan voiced solidarity with Venezuelan President Nicolas Maduro early Thursday after Washington recognized opposition-controlled National Assembly's President Juan Guaido as interim president.Erdoğan said: “Maduro brother, stand tall, Turkey stands with you, Erdoğan tells President Nicolas Maduro by telephone,” according to Turkish presidential spokesman Ibrahim Kalin's on Twitter.Kalin shared the #WeAreMADURO hashtag to show solidarity on Twitter.U.S. President Donald Trump announced Wednesday support for Guaido.Venezuela’s President Nicolas Maduro has slammed the decision and said his country was cutting off diplomatic relations with the U.S., giving American diplomats 72 hours to leave the country.Maduro made the announcement while speaking to supporters who gathered at the Presidential Palace in the capital of Caracas.